Turning Vision Into Action: Finding the middle ground between Barney the Dinosaur and Attila the Hun! Finding the middle ground between Barney the Dinosaur and Attila the Hun! Doug Reeves makes me think, learn and laugh. He is one of the best thought leaders in education, and we are all better for it. The title of this blog entry is an actual line in his 2006 book, The learning Leader and Doug has most certainly taught all of us how to become better learners as we try to become more relationally intelligent in how we influence and connect to others. According to Daniel Goleman and his colleagues (2002), emotionally intelligent leaders give praise, create a positive climate, criticize constructively, provide direction, support people’s needs, and “frame the group’s mission in ways that give more meaning to each person’s contribution—or not. All these acts help determine a leader’s primal emotional impact”. Furthermore, “How well leaders manage their moods and effect everyone else’s moods, then, becomes not just a private matter but a factor in how well a business will do”. 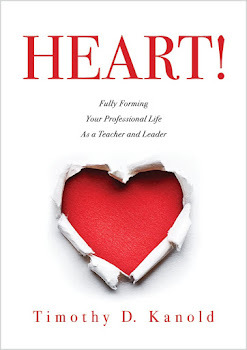 The more demanding and stressful the situation—such as working in chronically low-performing schools, working in a district with severe budget cutbacks, dealing with the elimination of viable and necessary support programs, and coping with public scrutiny—the more essential it is for the school leaders to have a well-developed emotional intelligence. These comments beg the question of course, as we approach the holidays, how well are you (or I) doing in the relational EQ (Emotional Intelligence) arena? And as our sophomore daughter reminded me last night, "Dad, you interrupted me" - which is a low mark on the relational intelligence scale. To some extent the future engagement of your colleagues in their work is predicated on the quality of their relationship with you and the emotional climate you create for those around you. According to Goleman, here are four behaviors you can use to rank yourself on the emotional intelligence scale. As you can see I ranked pretty low on behavior # 1 last night. 1. “Listen without interrupting.” Record your next leadership team or teacher team meeting. How often do your team members interrupt one another? How could your team members better listen to one another? 2. “Practice empathy through deliberate inquiry.” How often do your leadership team or teacher team members seek first to understand the meaning and intent of the words of others? How often do you hear, “Tell me more” or “How could I support you in this work?” in your daily conversations? 3. “Never betray a private conversation.” Is the fine line between what is for public knowledge and what is for private knowledge crystal clear for your leadership or teacher team? As collaborative teams pursue greater transparency, how well does everyone respect the confidences of private conversations—including those conversations of the team? 4. “Exhibit genuine passion for the people you serve.” How well do members of your leadership team exhibit genuine interest and pay private and personal attention to the individuals in their sphere of influence? As you build the relational capacity of your team, help all team members to realize they are hard wired to connect with others. No one benefits from the stress and inequity caused by isolated learning and decision-making. And yet many in our profession would prefer to just be left alone. Why? 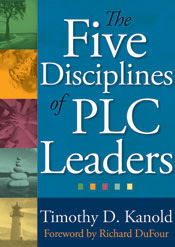 As your leadership teams respond to the new and required form of professional development in a PLC—learning with colleagues—working to ensure the meetings have meaning and are positive experiences will improve your ability to serve one another during times of great progress as well as times of conflict and stress – which is when we find out what you really believe about communication and teamwork! Your role is to foster a relational capacity among the various teams in your school, recognizing when it is low, and if so, providing immediate feedback for improvement and growth. No Atila the Huns and no Barney the Dinosaurs allowed as you end first Semester. Finding Your Perspective This Holiday!